For months, Tim Hortons has been working tirelessly to surprise Canadians, but alas, the secret is out! To get Canada’s 150th birthday celebrations RRRolling, Guests from coast-to-coast will pick up their morning coffee today to discover the return of RRRoll Up the Rim to Win. This special edition of Canada’s Favourite Contest is back for the second time in one year – a first in Tims history – and brings Double Double the fun, with plenty of new and exciting prizes to be won, starting now! Whether it’s exploring the Rockies, discovering the north, or visiting the Atlantic coast, this special edition of RRRoll Up the Rim offers never-before-seen prizes, including ten ultimate Canadian vacations valued at $10,000 each. The grand prizes will give Guests the opportunity to discover this beautiful country and design their own once-in-a-lifetime Canadian experience. 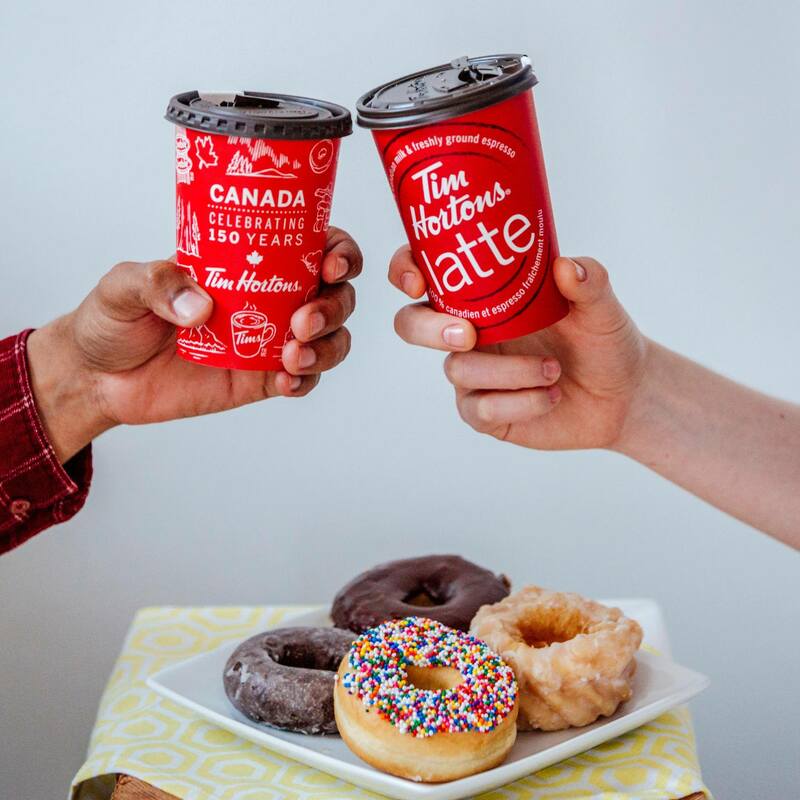 In true Tim Hortons style, Guests can also RRRoll Up the Rim to Win one of more than 16 million prizes including 8,000 $50 Tim Cards as well as food and beverage favourites like Tims new latte made with freshly ground premium espresso beans and 100% Canadian milk. To continue the celebrations online, Tim Hortons is inviting Canadians to share their dream Canadian destination using hashtag #RollUp150 on social media.